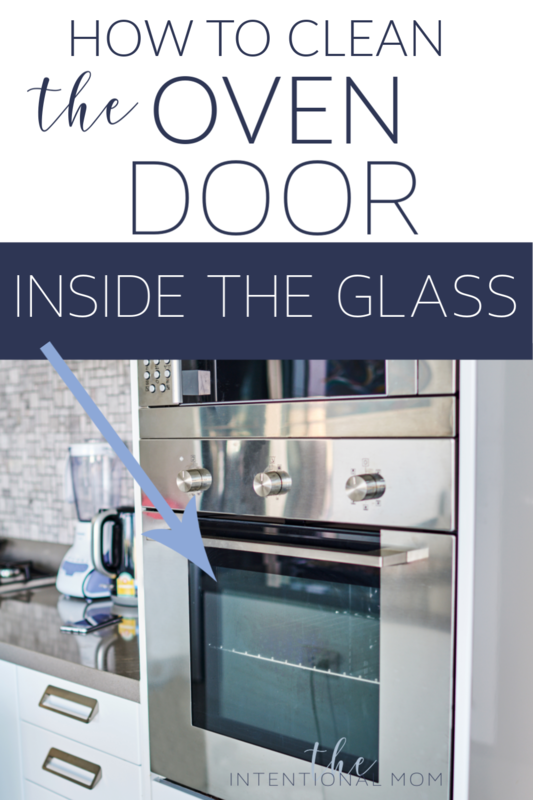 How to Clean The Glass Oven Door - Inside the Glass! If your home is anything like mine, the glass in the oven door can look like a bomb has gone off in the oven at times. It’s one thing to clean the glass inside the oven door, but what about the mess that gets inside the glass of the oven door? What about all those drips and spills in-between the glass that seem impossible to clean? Your kitchen can be super clean, but that messy oven door can make your entire kitchen look like a disaster. Well, no more! 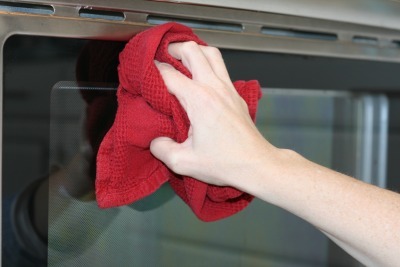 I have found the solution to cleaning the glass inside your oven door, and it’s actually fairly easy. Looking for more on cleaning? Grab our 31 day calendar of what to clean in March (even if it’s not March) and you’ll have 31 different small and simple cleaning tasks you can do each day to get your home in tip top shape. 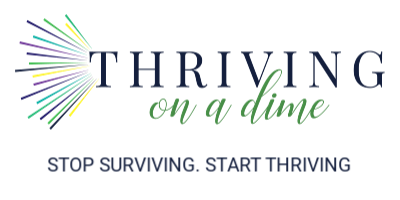 Just enter your email for instant access! Depending on how often your oven gets used, I find it is easiest to take on this project once every few months or so. Of course if it is a huge mess more often than that, you may want to do this more frequently. Also, it is much easier to have a second set of hands around for this project, but it is not necessary. Just keep in mind that if you can recruit that extra set of hands, you will be happy you did. Before you get started, I suggest looking at your oven’s owners manual to see if there are any instructions for this project that are specific to your make and model of oven. There may or many not be, but it is always a great place to start. As with any DIY project, proceed with caution, knowing that you do risk damaging your appliance when you’re messing with it in any way. Of course I can’t be responsible for any damage that might occur in the process. With that, let’s get on to how to clean your glass oven door! 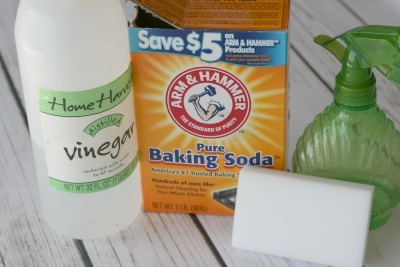 baking soda – such an amazing thing to clean all kinds of things – including your oven glass door! To begin, I suggest talking a picture of the inside of the door, just so you can see what it looks like put together. This is a relatively easy thing to get back together, but just in case, I always recommend taking a picture of what it needs to look like in the end before you even get started. Next, open the oven door and rest it on your legs. Begin taking the screws along the top of your door out, one at a time. As you get toward the last couple of screws, use caution as once the door comes apart with the last screw out, the two pieces can instantly come apart. The bottom half could fall to the floor (or your legs as I mentioned in a precious step) while the top half could go flying upwards. This is where the extra set of hands comes in handy. Again I repeat, use caution on this step. 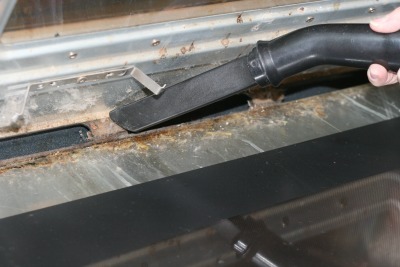 Once you can carefully get in-between these two layers of your oven door, start by vacuuming out all those nasty crumbs and dust that collects. It’s amazing how much can be there. Next, take a wet rag and just begin wiping out these areas the best you can. My glass easily comes out of the door itself, allowing me to clean the glass right on a solid surface away from the oven door. This may not be the case for you. If your glass doesn’t easily come out at this point, just leave it where it is and continue cleaning the glass with it still inside your oven door from this point forward. 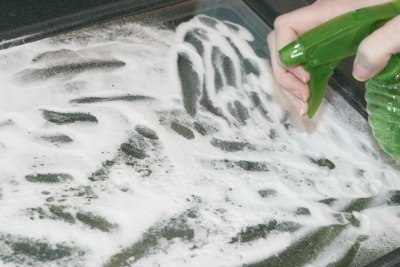 If there is still built up grease, grime, and mess on the glass, lightly sprinkle some baking soda all over the glass. Then, spray the baking soda with vinegar to cover it completely. You will hear and see it bubble, that’s fine. That means the bubbling action is doing some of the work for you. Spray enough vinegar to achieve a toothpaste type consistency. Next, use your non-abrasive pad to scrub all that paste around. In most cases, you will see most everything clean up off the glass at this point. If not, you may need to repeat this step. 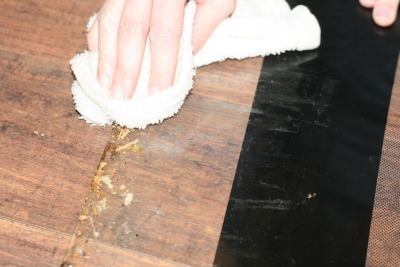 Once the glass appears primarily clean, use a wet rag to get rid of all that baking soda paste. If there are any drips, stains, or gunky mess leftover, use your magic eraser to remove them. 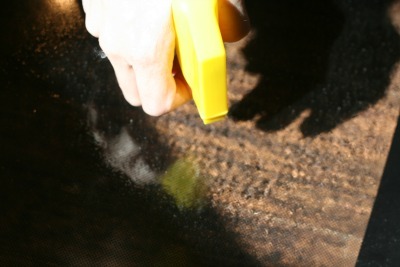 Next, lightly spray your paper towel or window rag with window cleaner and shine. Now it’s time to put everything back together. 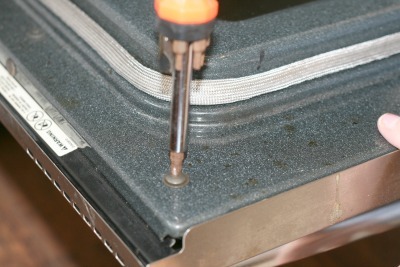 Reassemble your glass door, being careful to return to correct screws to the correct places. Finish by giving everything one last wipe down and shine from the outside. All in all, cleaning the glass inside the oven door usually takes me about 20 minutes, but that is with cleaning it every few months or so. As long as you are careful and work slowly, you will find that it is fairly easy to complete this project. 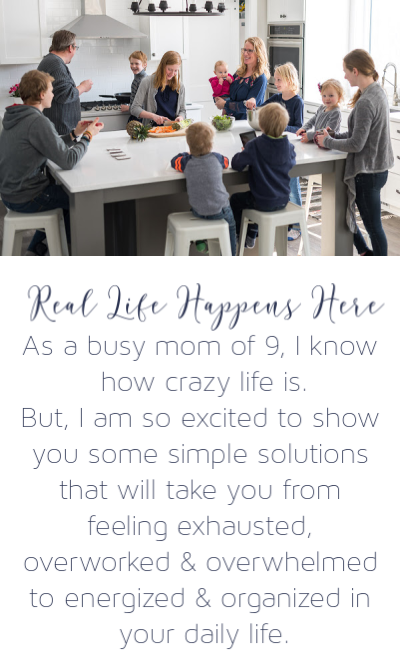 And, you will love the results! I never knew you could take your oven door apart to clean the glass so this was something I’ve never read about before. So many blogs are just repeats, but this was amazing. I may get my husband to do the taking apart but I can certainly do the cleaning. Thanks for this great cleaning tip!